Description: There are a variety of species of Blazing Star, all feature grass-like foliage with tall spikes of flowers ranging from red to purple. These flower spikes are so showy they are often used by florists for cut flower arrangements. They are especially attractive to butterflies who are frequent visitors, as are hummingbirds and native bees. 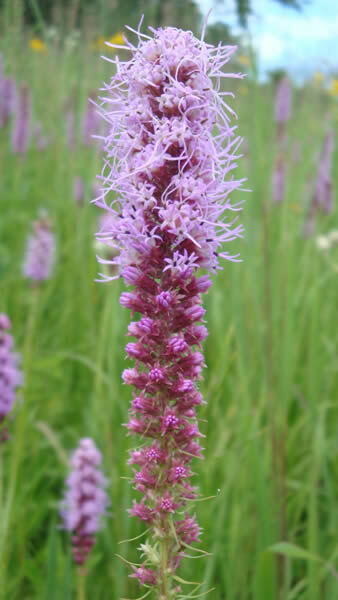 Dense blazing star features dense tufted flower spikes emerging from grass-like foliage and can grow from 3' to 8' depending on soil quality. Growing Conditions: Sun to part shade. Native to moist low prairie lands and marsh edges, yet also drought tolerant due to its deep root structure. 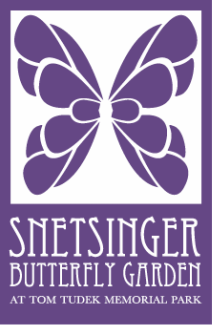 Benefit to pollinators/wildlife: Attractive to a variety of bees, butterflies, and birds.